How long does it take to make money transfer? Ordinary money transfer to a foreign bank will be sent within 2 bank business days, where a customer submits payment order before 22:00. Money transfer in USD currency to the banks registered in Lithuania will be sent on the same bank business day, where a customer submits payment order before 15:00. Money transfers in other foreign currency to the banks registered in Lithuania will be sent within 1 bank business day if a customer submits payment order before 14:00. Ordinary European payment will be sent within 1 bank business day, where a customer submits payment order before 23:59. Urgent European payment will be sent on the same bank business days, where a customer submits payment order before 16:00. Urgent money transfer in EUR and USD to a foreign bank will be sent within 1 bank business day, where a customer submits payment order before 16:00, in other currencies – before 14:00. Extremely urgent money transfer in EUR and USD to a foreign bank will be sent on the same bank business day, where a customer submits payment order before 15:00. Money transfer to Swedbank Group’s banks in EUR will be sent on the same day, where a customer submits payment order before 17:30, in USD, SEK– before 16:00, in NOK and DKK – before 15:00. Money transfer in other currencies to Swedbank Group’s banks in Latvia and Estonia will be sent on the same bank business day, where a customer submits a payment order before 15:00. Money transfer in other currencies to Swedbank Group’s banks in Sweden, Finland, Denmark and Norway will be sent within 2 bank business days, where a customer submits payment order before 22:00. After an international payment order has been sent, the date of money crediting to the beneficiary’s account is determined by the beneficiary’s bank. What necessarily must be indicated for an international payment order? accurate name of the beneficiary’s bank, its address and bank code. If you make money transfer in euros or in any other currency of the European Union / European Economic Area to the countries of the European Union / European Economic Area, it is not required to specify SWIFT code of the beneficiary’s bank. The bank’s information system will automatically select the beneficiary’s bank’s SWIFT code according to the specified beneficiary’s account in IBAN format. How to transfer foreign currency to a bank registered in Lithuania? To submit a payment order in foreign currency to the banks registered in Lithuania, you have to complete an international payment order form. The execution of a money transfer in foreign currency will be charged according to the rates of fees charged for the Bank’s services and transactions at the time of the transaction, namely, charges for money transfer in foreign currency. What a partner abroad should know to receive money to its Swedbank account? your name, surname and address or company name and address. European payment – what is it? It is a standardised, SEPA (Single Euro Payments Area), credit payments that meet the standards, taxes are paid in parts (SHA), it is required to indicate the beneficiary’s bank SWIFT (BIC) code and the beneficiary’s account in IBAN format. These payment orders are sent off and credited to the beneficiary’s account in one bank business day. If a payment order in euros misses the international beneficiary’s bank account number IBAN or SWIFT (BIC), a foreign bank will have the right to take an additional service fee for the handling of a payment order or a higher fee may be charged for the crediting of money. How to transfer money to Russia? Payment purpose – currency operation (CO) code (5 characters) must be provided; the client chooses it based on what is paid for from the code table: CO codes. If the transfer is made from Lithuania, the payer is Always non-resident. If it is an advance payment for goods, column 10 shall be selected, if it is final payment for goods – the code (CO13010). Where the payment is made for services, column 20 shall be selected. The code is inserted in the payment purpose field (COxxxxx), afterwards, an accurate payment explanation in words is inserted, invoice number and contract number as well as the date of invoice. How to transfer money to Belarus? In the payment purpose box, invoice and contract number, contract conclusion date and content in words (product name, transaction name) must be indicated. How to cancel an international payment order? To cancel a payment order, the payer must submit to the bank a written application of the established form in a bank office or by an online bank message. Payment order may be cancelled only where agreed between the payer and the bank. The amount of money specified in the payment order and charges for cancellation are returned to the account only, where the bank has not sent off a notification about an international payment order to the beneficiary’s bank or the intermediary bank. Please be accurate when providing the beneficiary‘s account number so as to make sure that money will receive the desired beneficiary’s account. 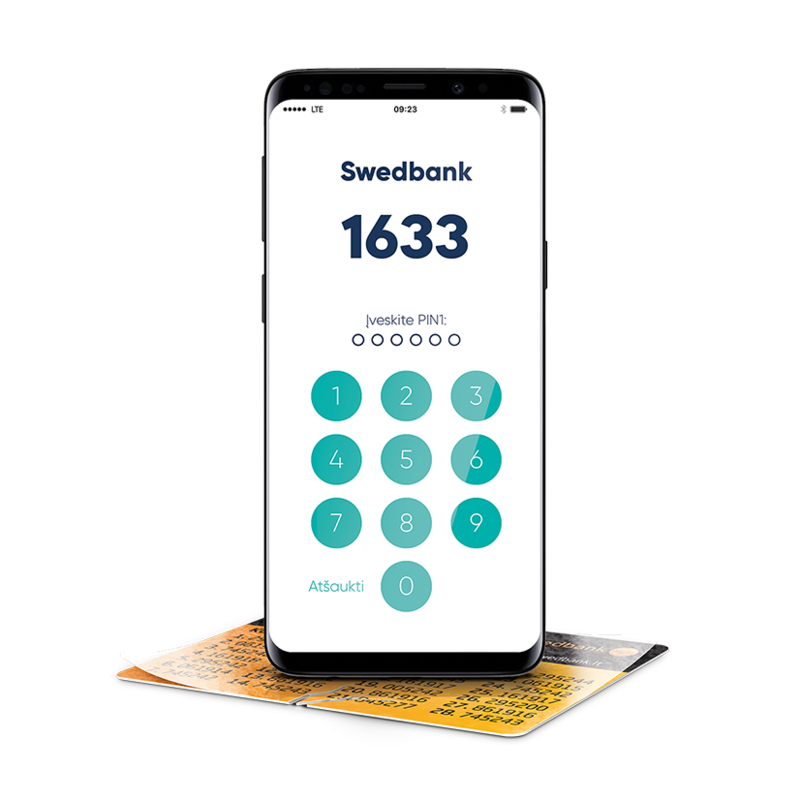 Monetary funds received from abroad to the beneficiary’s account with Swedbank, AB are credited to the account only according to the beneficiary’s account number in IBAN format, i.e. the Bank does not verify, whether the account specified in the payment belongs to the beneficiary of the funds; for this reason, if a wrong account number is provided, money might be credited to another client’s account regardless of the specified beneficiary’s name, surname (company name).